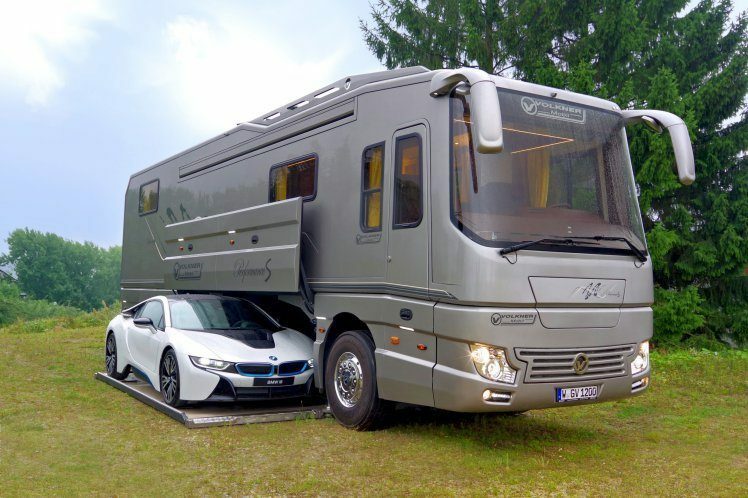 The Luxury Motorhome That Has Its Own Supercar Garage! 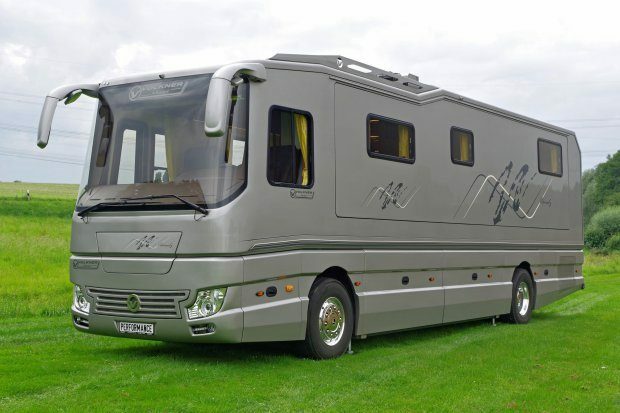 Is This The Greatest Luxury Motorhome Of All Time? Are you the sort of person that finds extra long, high roof Sprinter vans too cramped? Or perhaps the kind of camper that thinks there’s not enough space for you in a ten man tent? Ok last question; do you have £1.2 million in your back pocket? 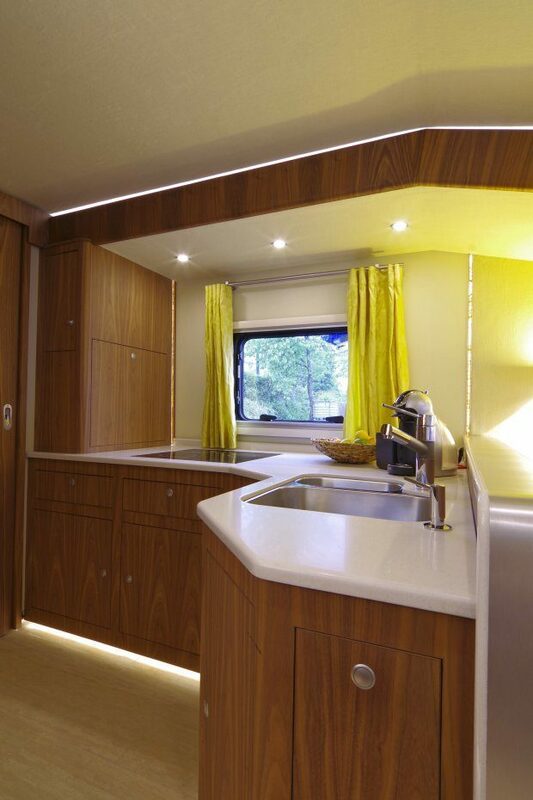 If yes, then this Luxury Motorhome could be for you! 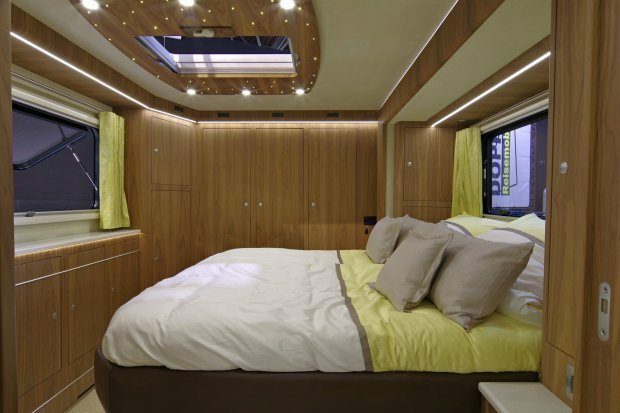 This luxury motorhome is the perfect home on wheels for the traveller who wears suits made of money. 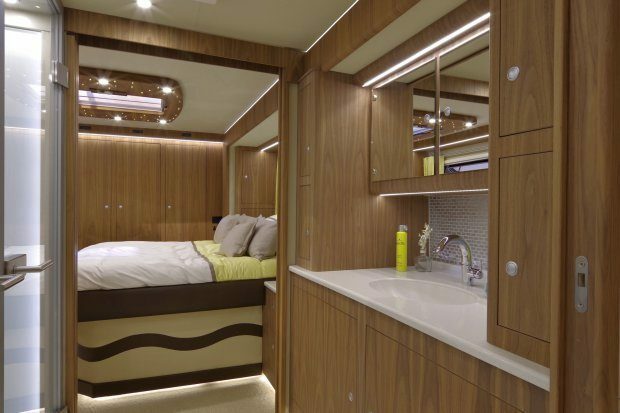 Not only does it come with all of the mod-cons that you would expect in an RV, but it also has SUPERCAR GARAGE underneath! The inside is just as flash as the outside. It looks like the first class cabin in the orient express, and apparently comes with plants as optional extras. With a body length of 8 meters, you could also keep fit inside by running backwards and forward, if you’re bored of storage hunting that is. Theres cupboard everywhere, in every room. I’d be hard pushed to fill all of the ones in the picture above, but I suppose you need matching jackets that compliment your individual sports cars, which was got to take up a lot of room. 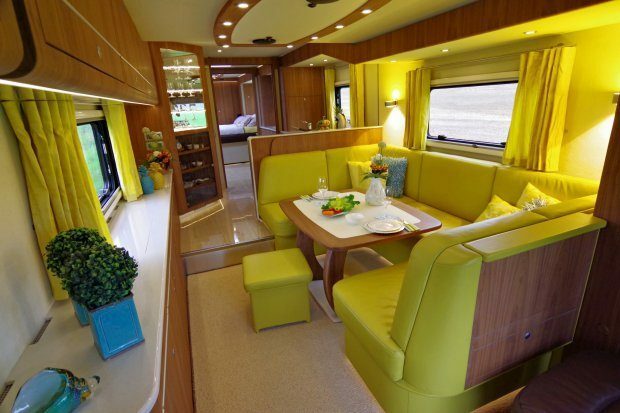 Now this is where this luxury motorhome gets even more interesting! The computer-controlled BrainPilot system control developed by Volkner Mobil consists of a central computer and modules that are all connected to each other via fiber-optic cables. The state-of-the-art control system permanently links, monitors and controls all units in the vehicle. Operation is via a touchscreen with clear menu navigation. How cool is that! 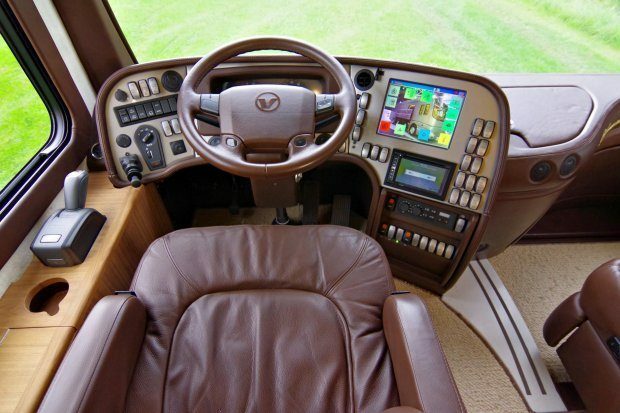 Awesome RV or or overpriced monster? Join the Van Clan over on Facebook, Instagram and Twitter and let us know your thoughts!